We have finally concluded our visit to Situbondo. It has been a great trip to here. 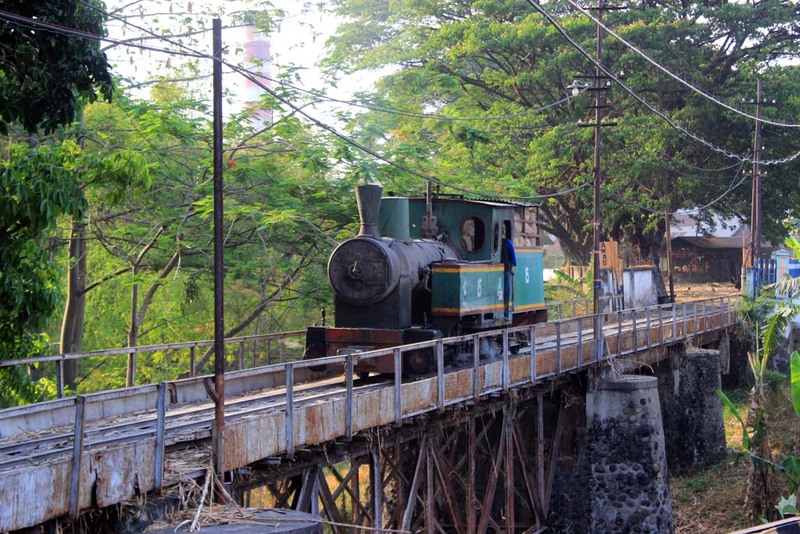 We’ve had memorable experience of riding the steam loco. 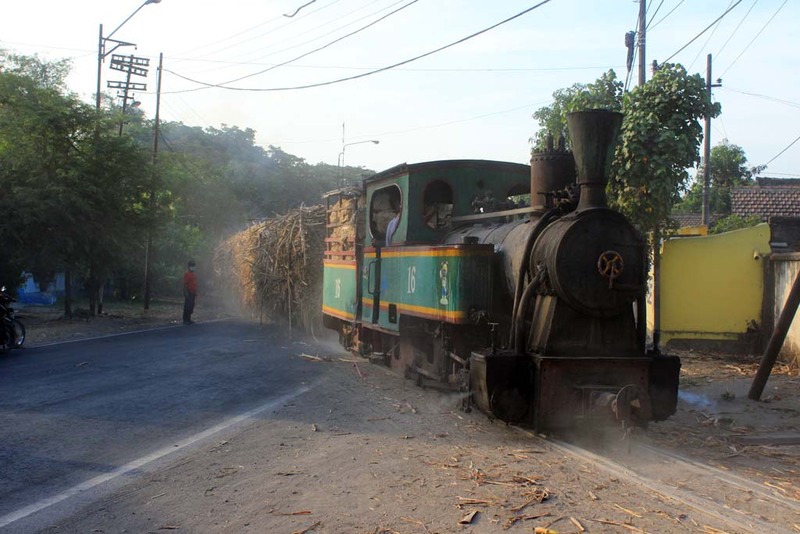 For me, in fact, it was the longest trip I’ve ever had on board narrow gauge sugarcane steam locomotive. 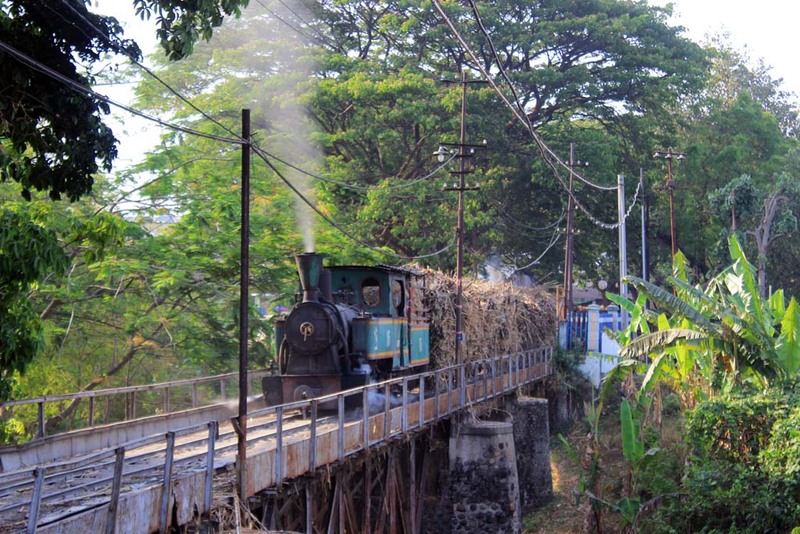 Prior to that the “longest” trip was just a 10 minutes ride on board Sumberharjo’s steam locomotive on its short field working. For everyone else, it was a lifelong dream comes true. After we finished our breakfast, we checked out from the hotel and returned back to Surabaya. 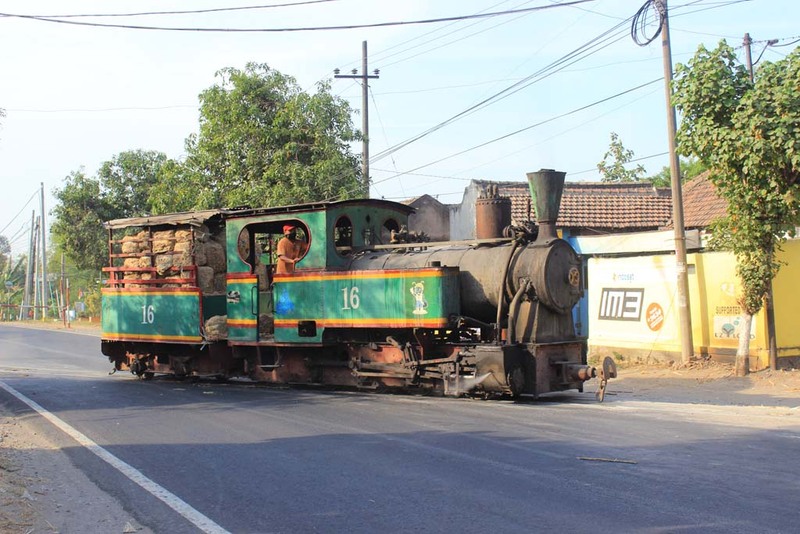 Just like the departure trip, it was uneventful 4 hour journey from Situbondo to Surabaya. And since we departed in the morning and arriving around lunchtime, we decided to have a lunch in Surabaya. 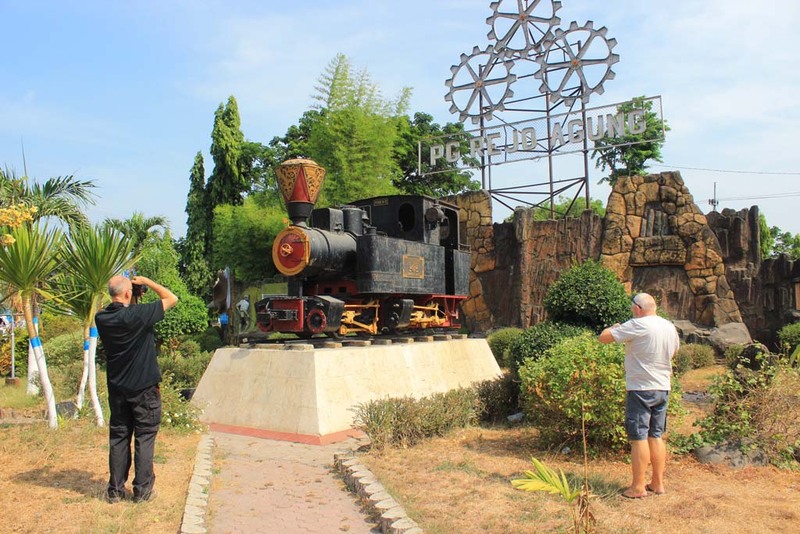 While in Surabaya, we also spending time by visiting some famous landmarks such as House of Sampoerna or Pasopati Submarine Monument. 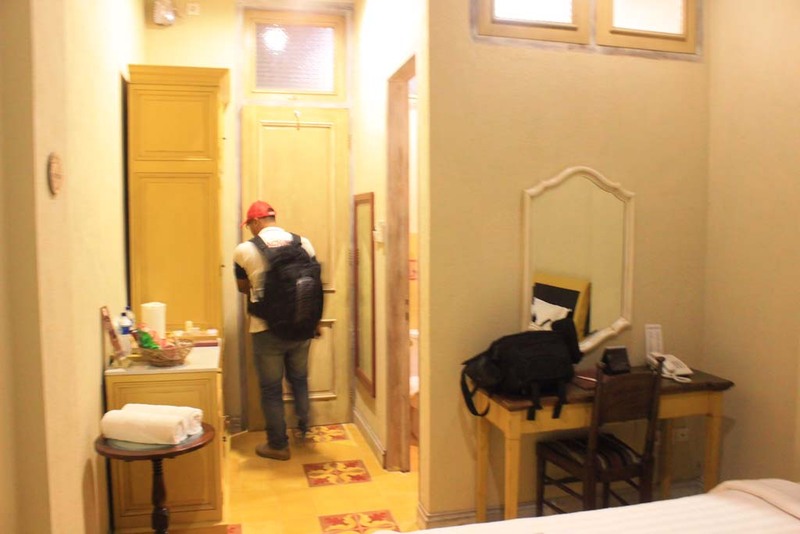 Upon completing our short Surabaya city tour, we head to the hotel where I checked in Robert and Stephen. From there, I dropped Derri back to his home and bade farewell. I return back home to clean up and also have some rest too before heading to the west on the following day. After a pleasant rest, it’s time for me to resume my journey. This time I’m accompanied by my brother, Surabaya, who also acted as a driver for Surabaya-Madiun-Salatiga leg. Once all of our provisions and gears are loaded into the car, we head to the hotel to pick Stephen and Robert up. Upon arriving at the hotel, we found that they’re both ready to go. So it doesn’t take long for us to start our journey. 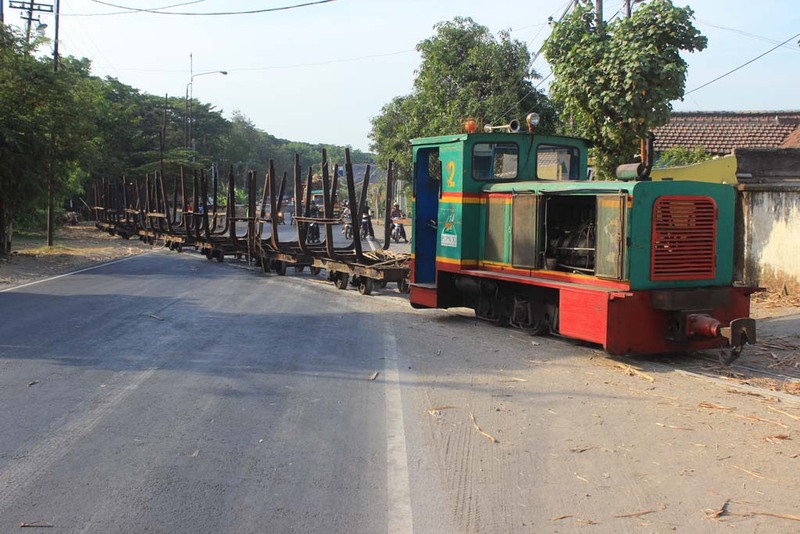 Despite of the smooth start, as soon as we left Surabaya, we encountered many traffic jams. The traffic jams costing us precious hours that would have otherwise allowed us not just punctual lunch time, but also allowing us to reach Salatiga before dark, turned everyone mood into a bad one! 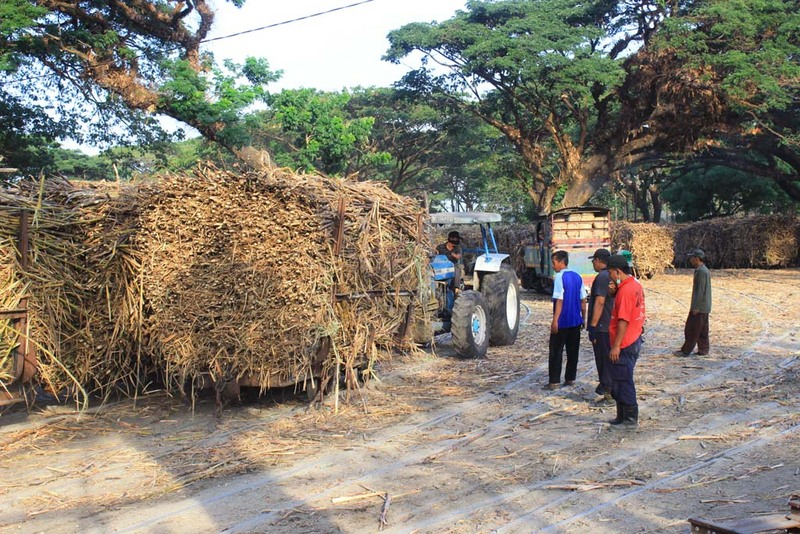 Which mean that by the time we approached Madiun, everyone was anxious on having lunch. 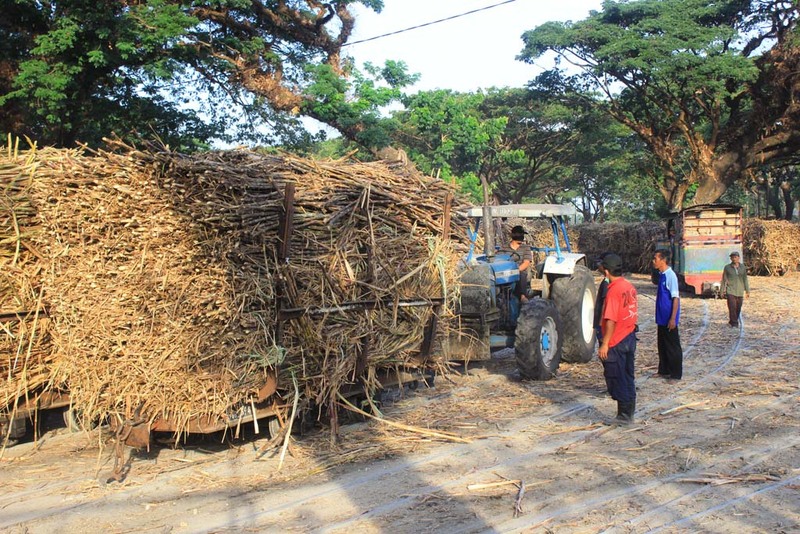 As soon as we sighted Rejoagung sugar mill, we know that we have made it into Madiun. 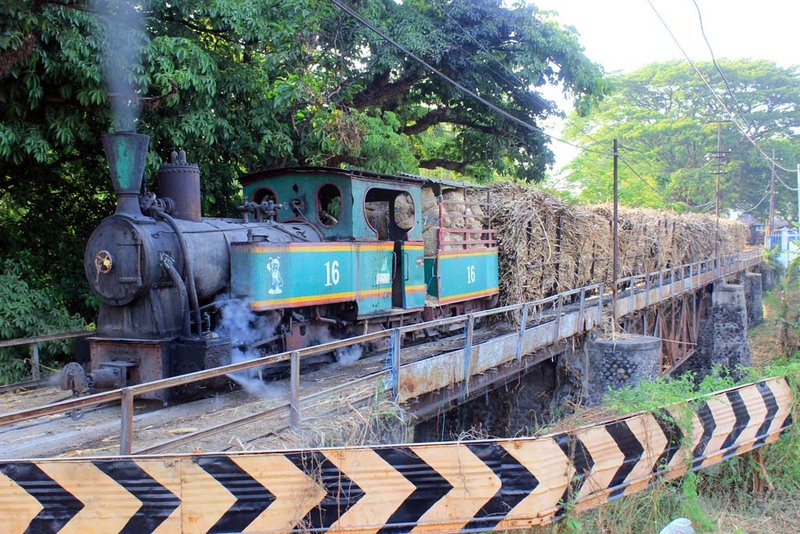 But apparently no one can resist the temptation of seeing steam locomotive plinthed just in front of the mill. So we stopped by to take some pictures. 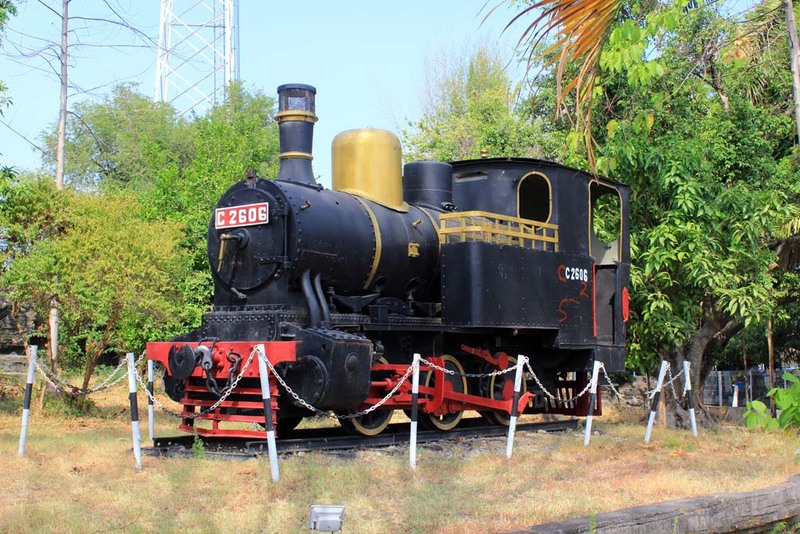 This Orenstein & Koppel 0-4-4-0 mallet was once part of Rejoagung’s fleet of steam locomotives. 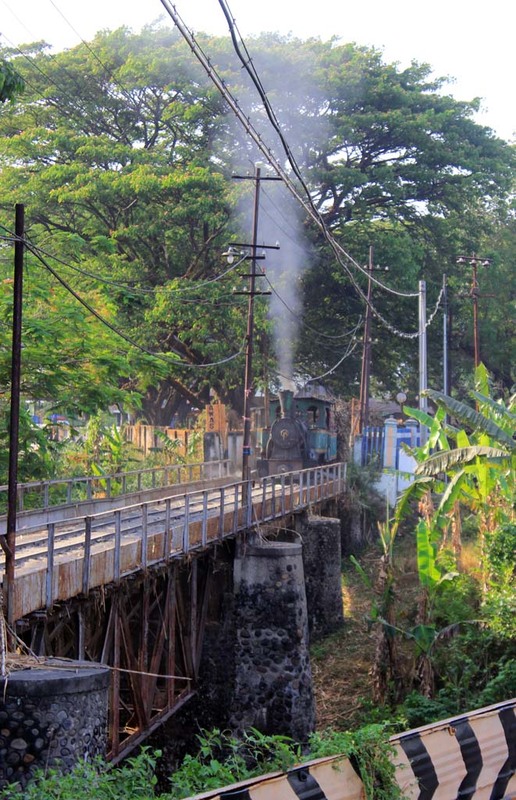 The loco was withdrawn sometime in 1980s, when the mill retires all of their steam locomotives fleet in favor of diesels. 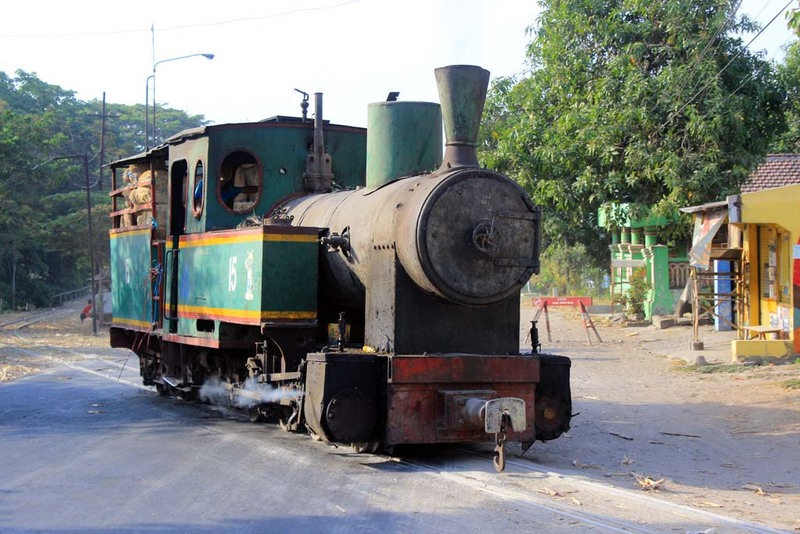 Most of its peers were scrapped sometime in late 1980s, leaving this loco as a sole survivor of Rejoagung’s once extensive fleet of steam locomotives. 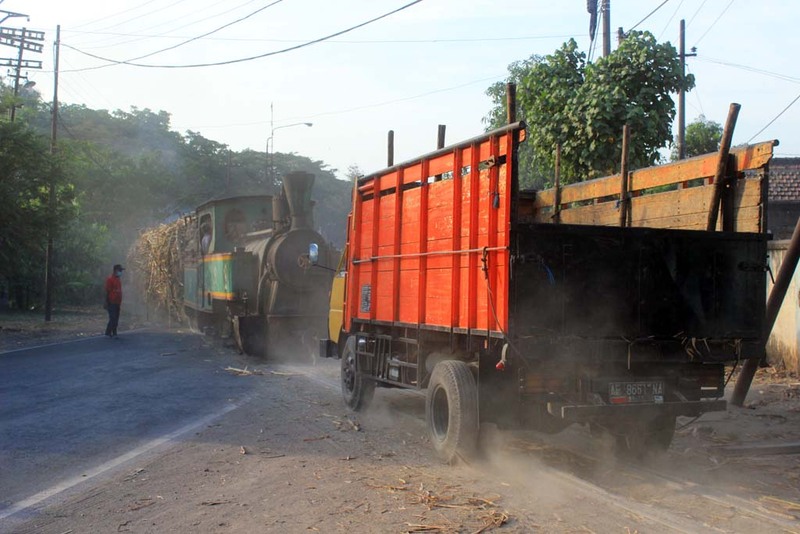 Rejoagung mill itself is also the last sugar mill in Madiun area that closed down its field lines network, doing so at the end of 2005 harvesting season. 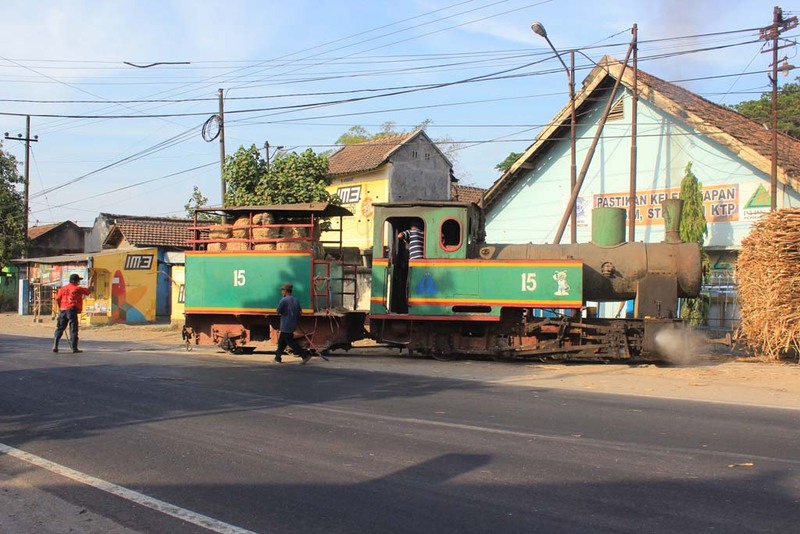 We move slightly to the south where we travel along Madiun’s street running section. 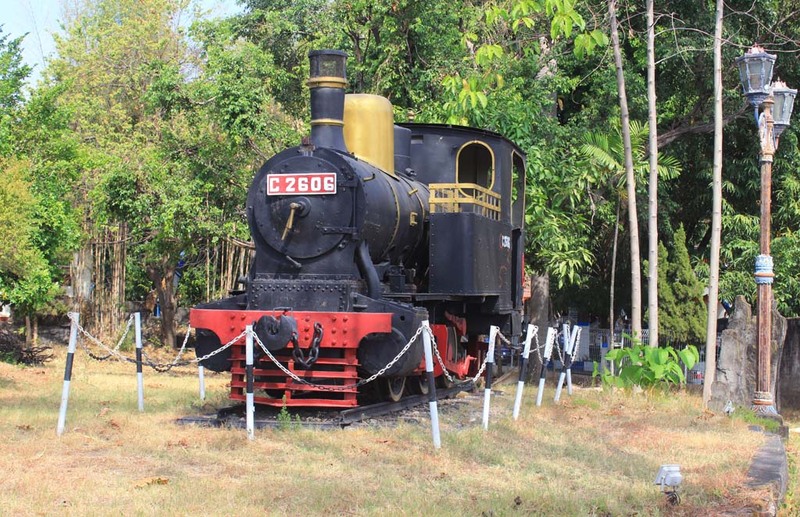 Just after the level crossing, we also get to see this old C26 06 locomotive. 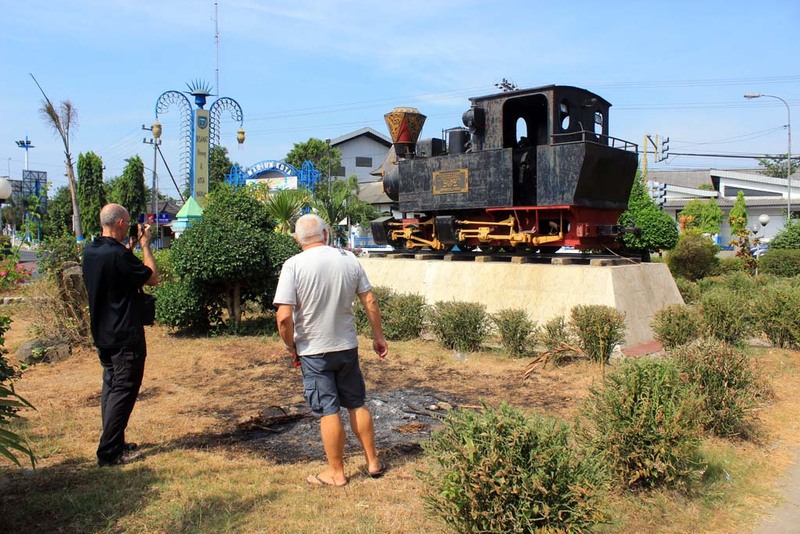 This Henscel built steam locomotive is plinthed right next to the Madiun’s signal box to commemorate Madiun’s rich steam era heritage. 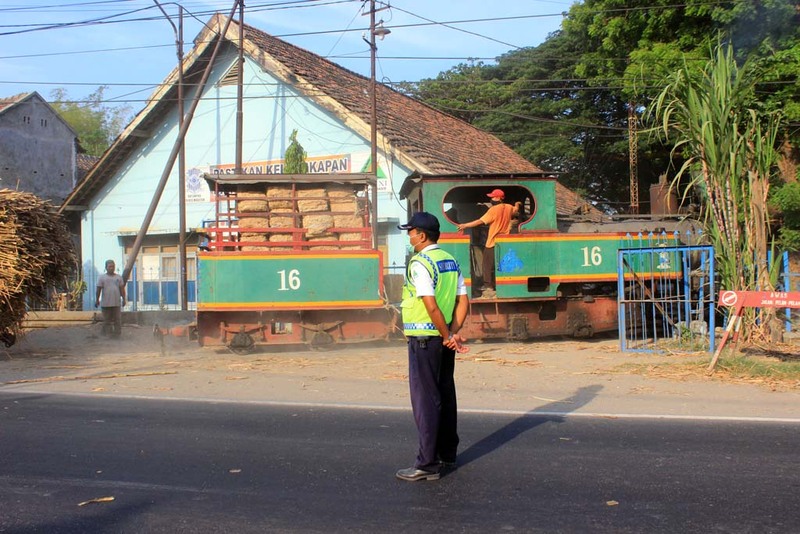 Unfortunately, the C26 06 doesn’t have historical relation with the railway operation in Madiun. 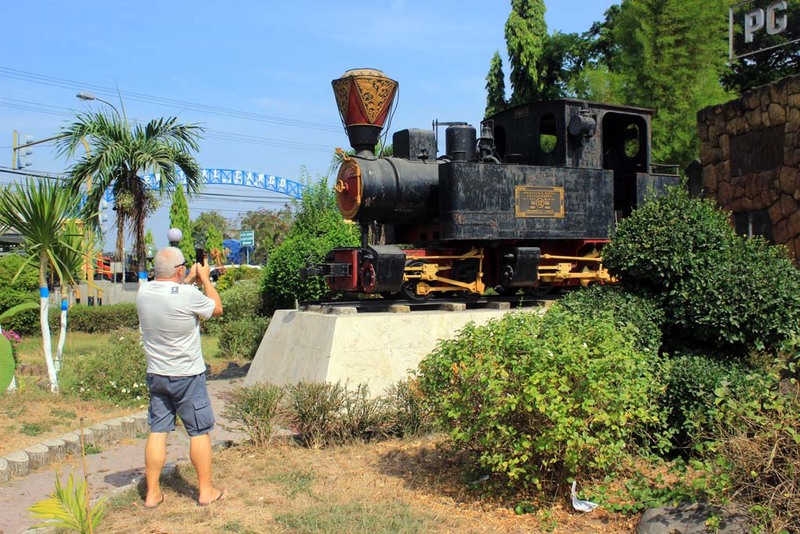 Back in the old days, Madiun was once famous as the last place in the world where train enthusiasts could see the rare B50 2-4-0 locomotives built by Sharp Stewart works in Manchester. 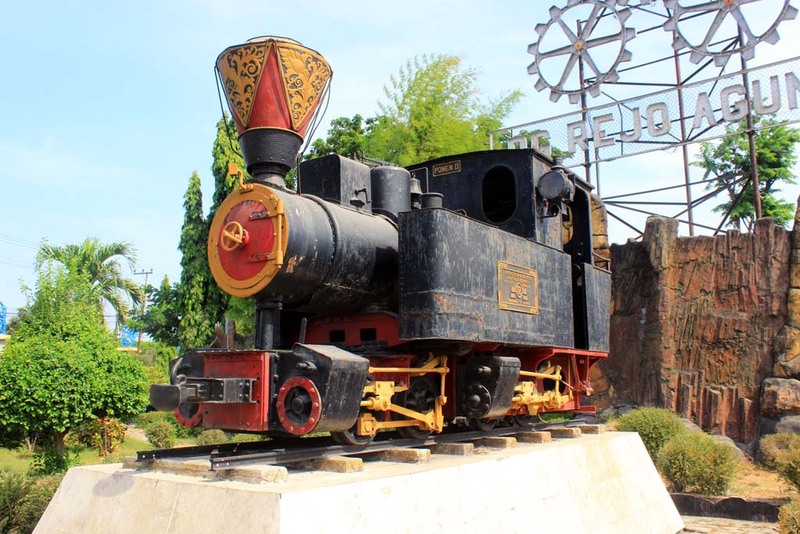 The 19th century built locomotives was primarily used for Madiun-Ponorogo running. 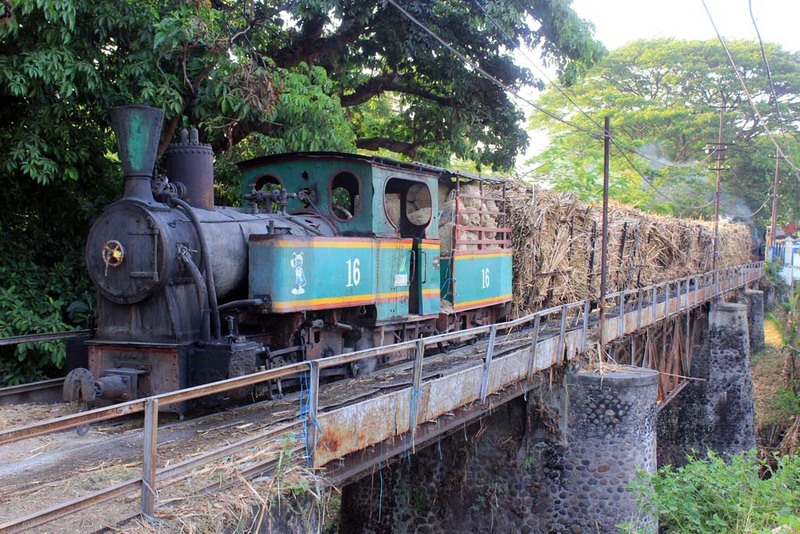 Their working lasted until 1984 when the locos were sidelined by mechanical problems, thanks to their 100 years+ age. 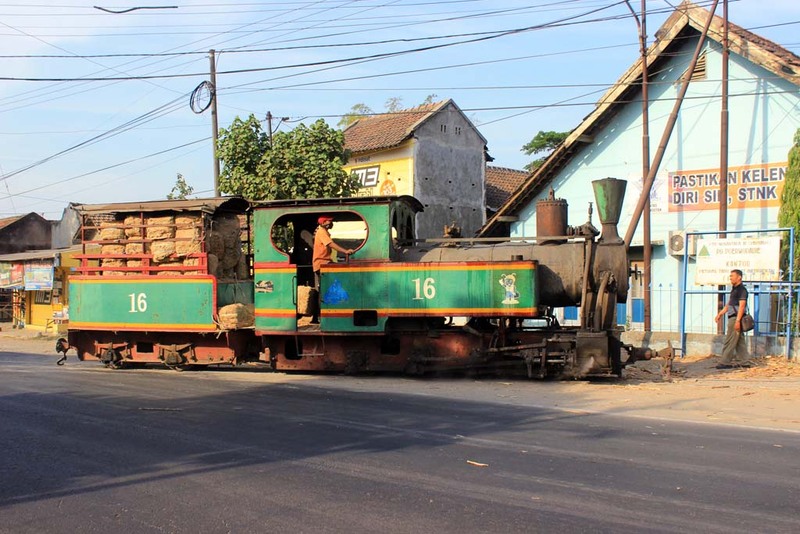 One loco was brought to Jakarta for preservation, while the rest were left to rot at Madiun station yard, they were scrapped around 1987-1989. And the C26 06 itself? 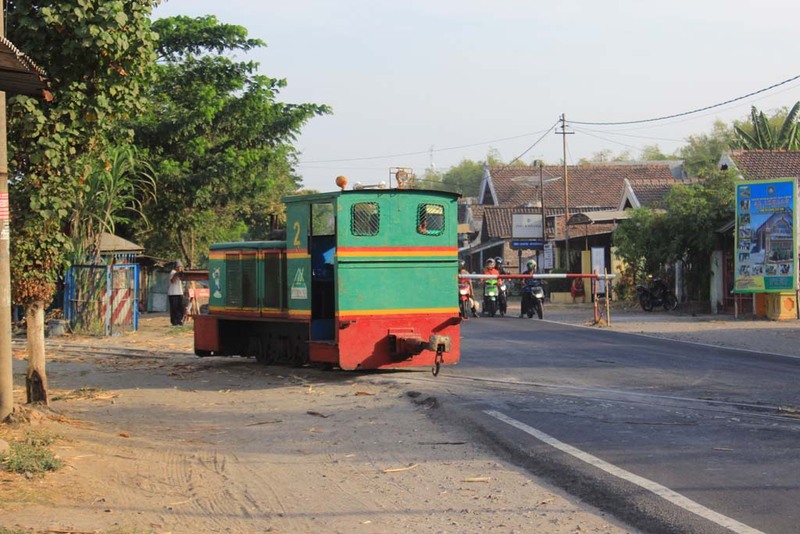 Well, the loco was used for Kediri – Pare – Jombang working. 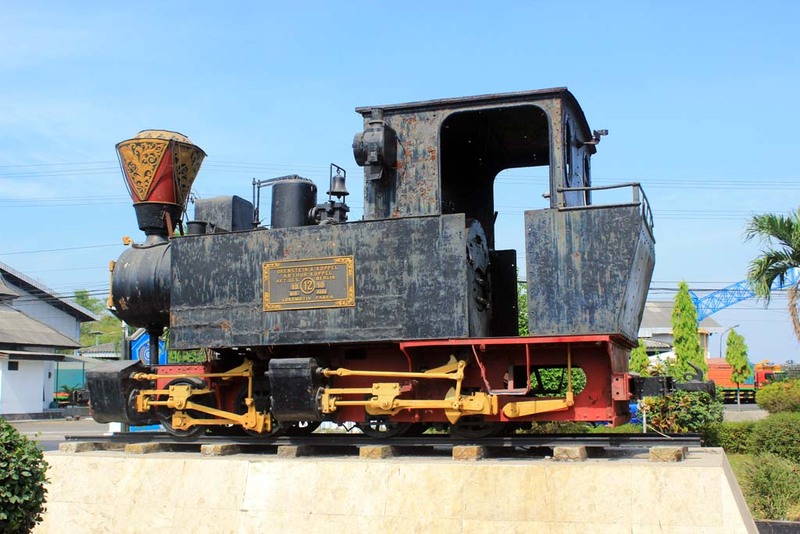 Since the authority in Madiun wants to show something to represent rail heritage, yet they’re running out of artifacts, so they had no choice but to bring the C26 which has no historical relationship to Madiun. 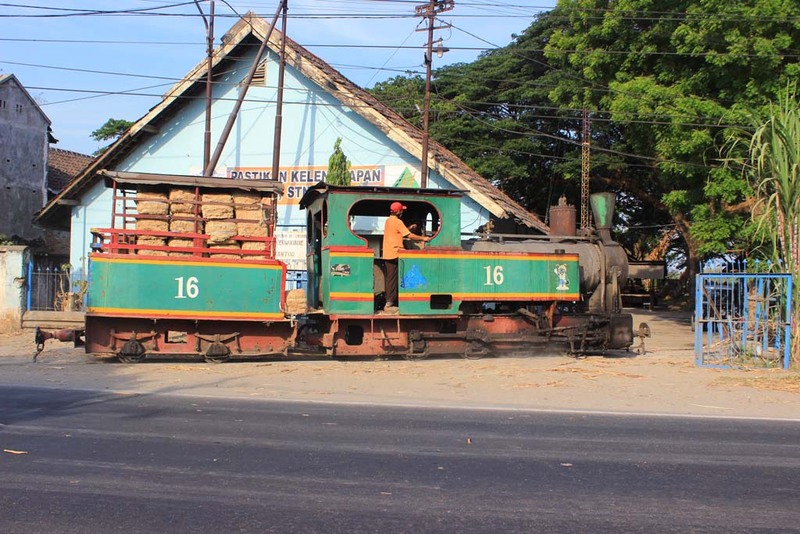 These days Madiun railway station have been heavily modernized. 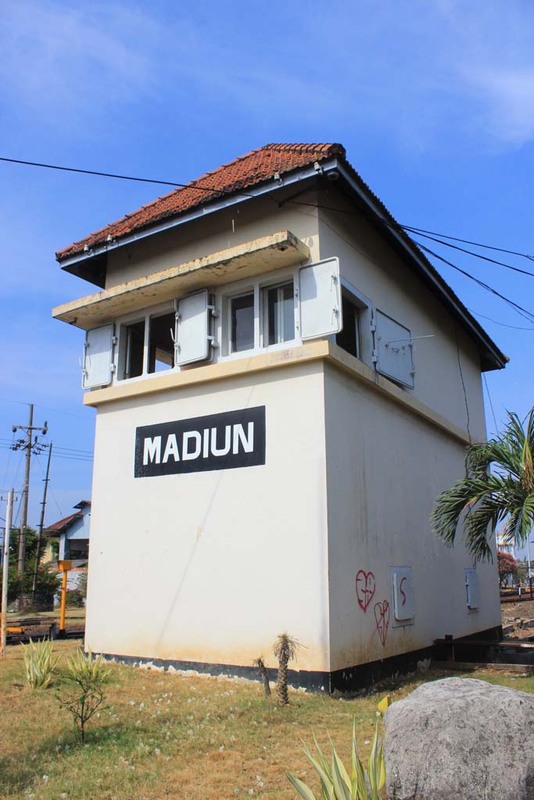 The mechanical semaphore signaling were withdrawn in 2011, leaving old signal boxes like this one sits empty. 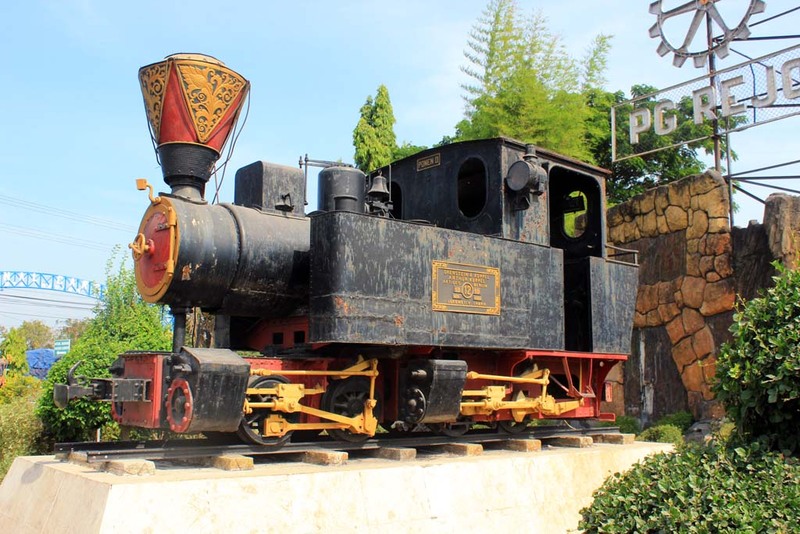 From the steam loco monument, we head straight to the south where we ate at famed Nasi Pecel restaurant in Madiun. 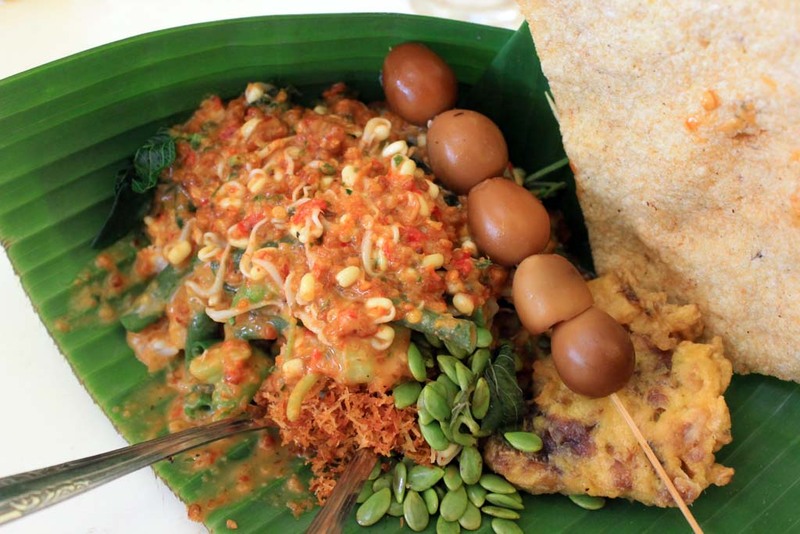 Nasi Pecel is a traditional cuisine native of Madiun. It is a rice, served with vegetables and spicy peanut sauce. 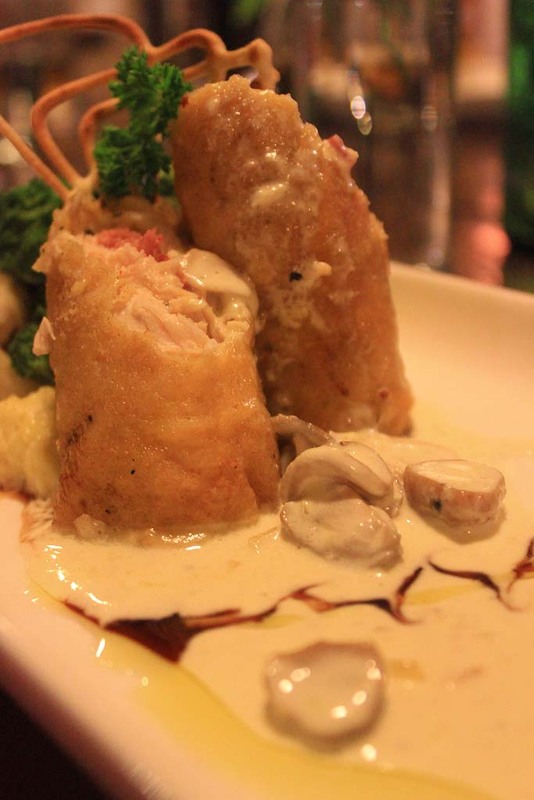 Sometime with additional side dishes such (pictured) quail eggs in skewer and corn fritter. 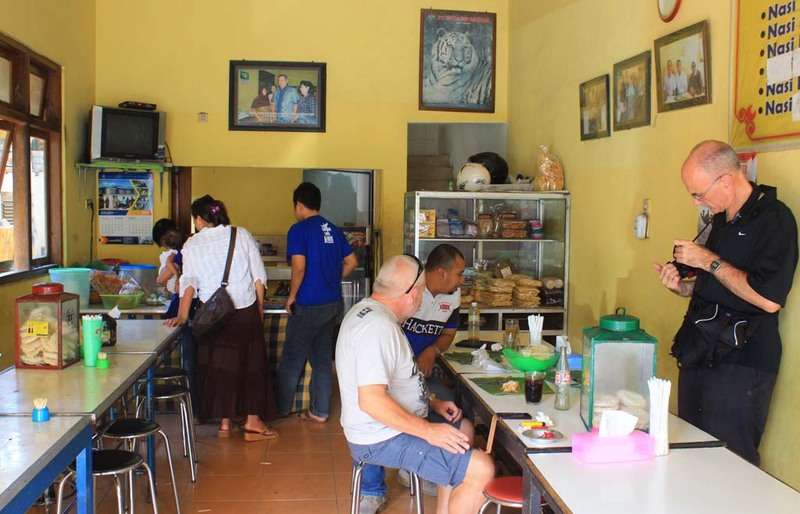 This particular Nasi Pecel restaurant is very famous in Madiun, because former Indonesian president frequently ate in here, whenever he visited Madiun. His picture can be seen above the counter table. 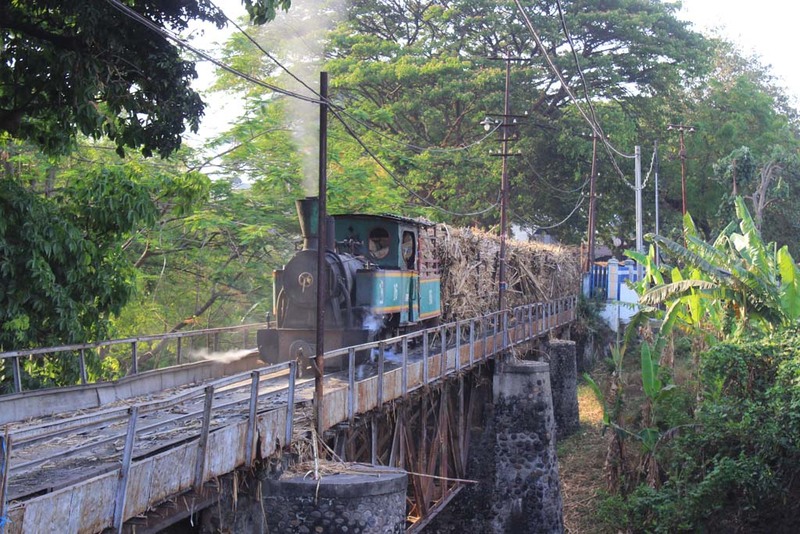 After we finished our lunch, we resumed our journey to Salatiga. Along the way we passed through a big air force base in Maospati, west of Madiun. 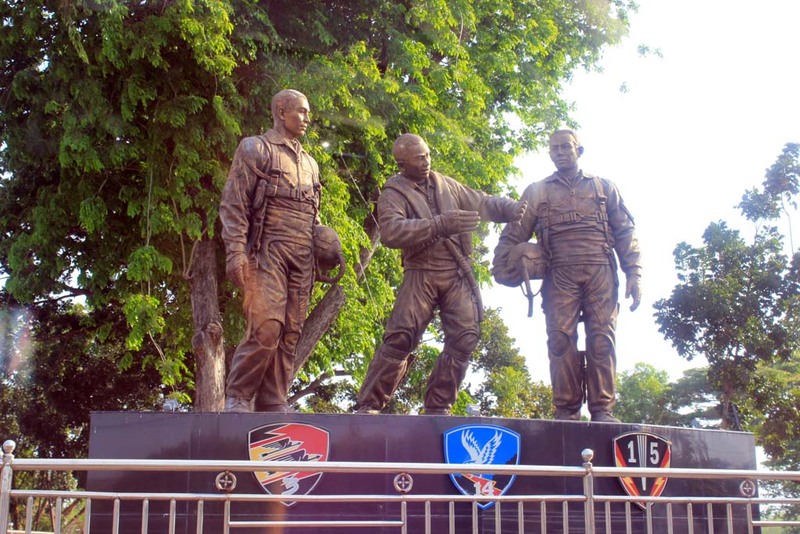 The air force base is well known as one of most important air base in Indonesia, where the bulk of Indonesian Air Force’s fleet of F-16 fighter planes is based. 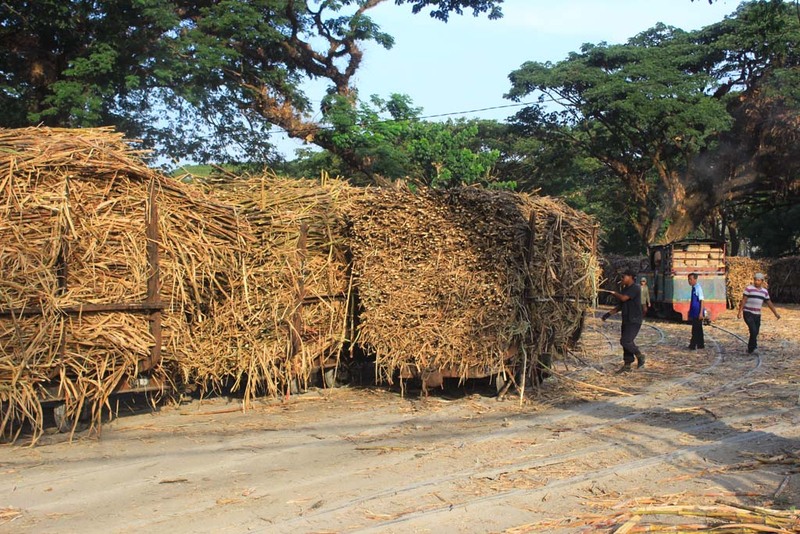 Further to the north of the air base, we finally arrived at Purwodadi sugar mill. Robert, upon seeing the puff of smoke in the distance ordered my brother to stop immediately. 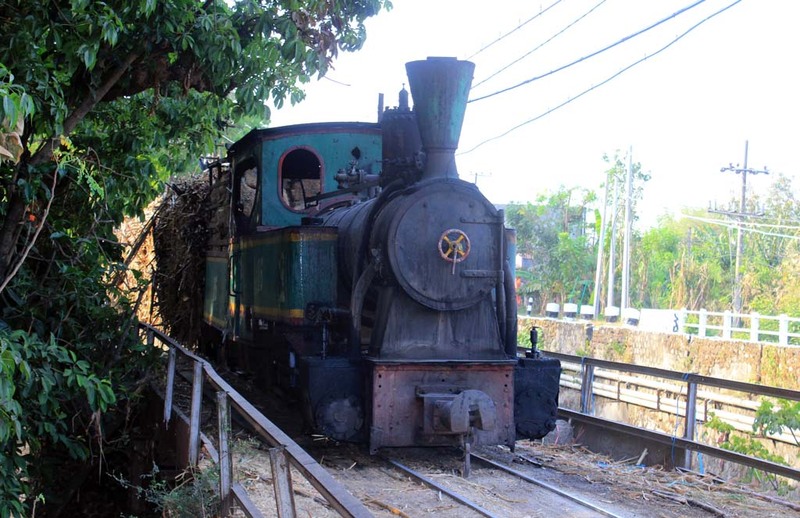 Apparently it was a steam loco working! 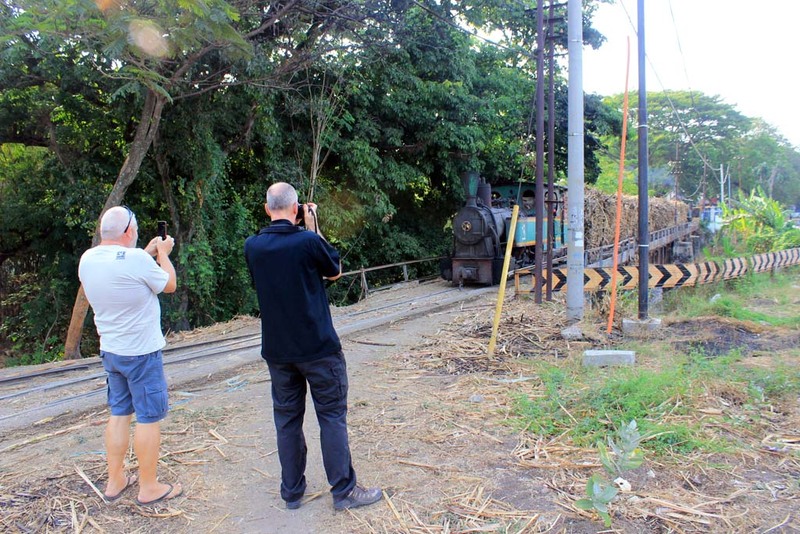 Both Robert and Stephen quickly rushed to the scene to photograph the working! 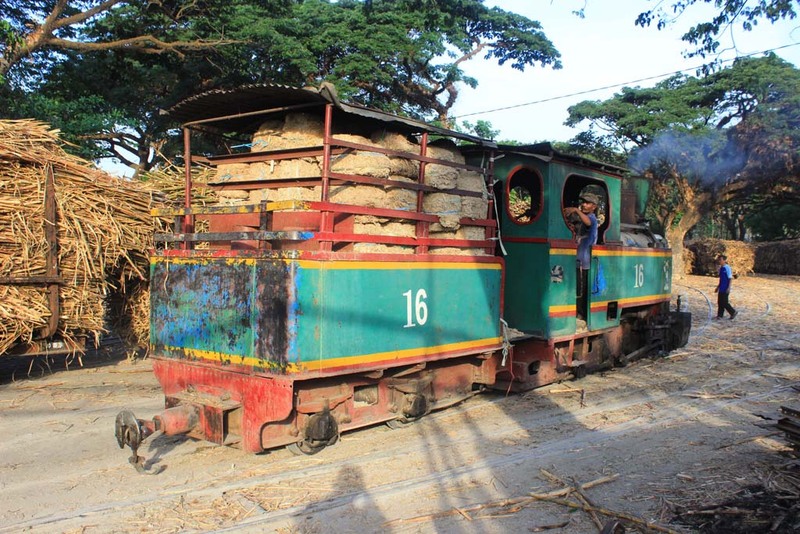 Apparently it is loco no.16 pushing a loaded sugarcane wagons, with no.15 behind the train pulling. Both Robert and Stephen were very pleased to see the working. 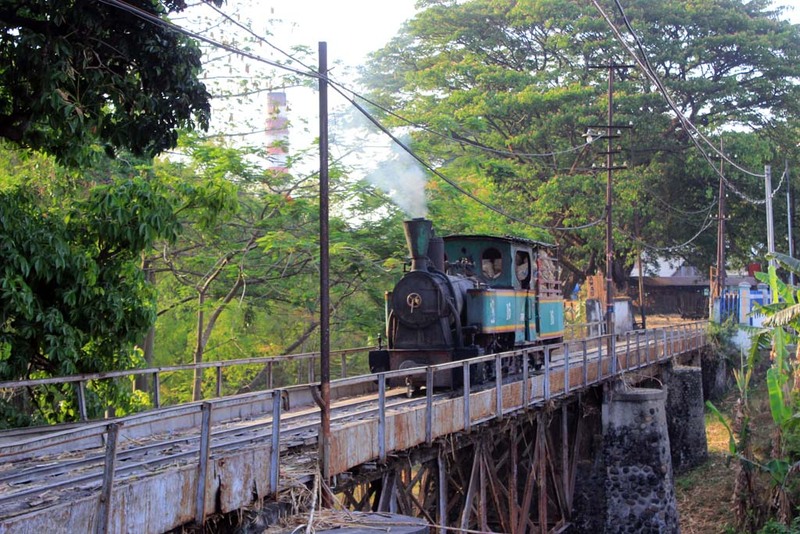 Even the chugging reminds Stephen to the big 3801 locomotive back home in Australia. 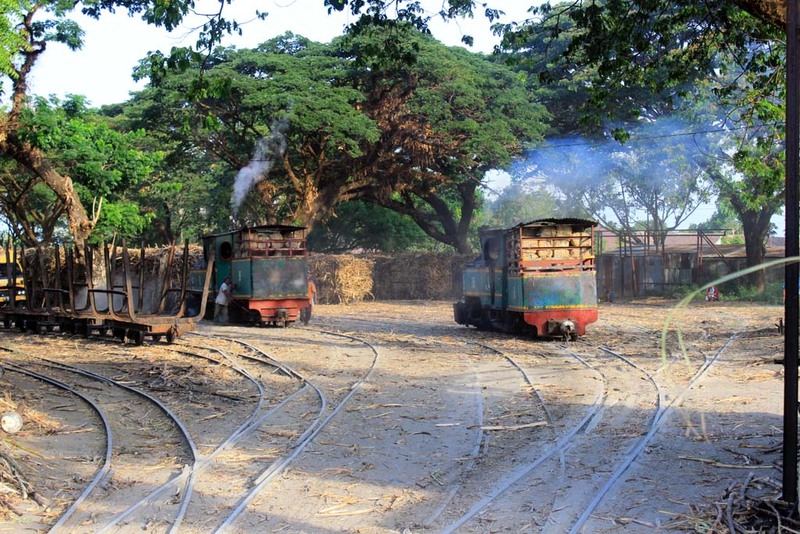 Not long afterward, both steam locos returned back to receiving yard. 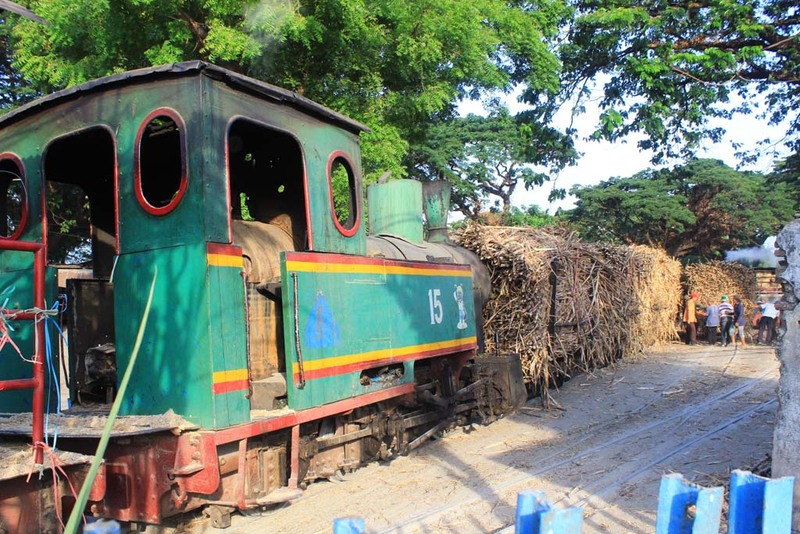 While the diesel also came with a train of empty wagons. 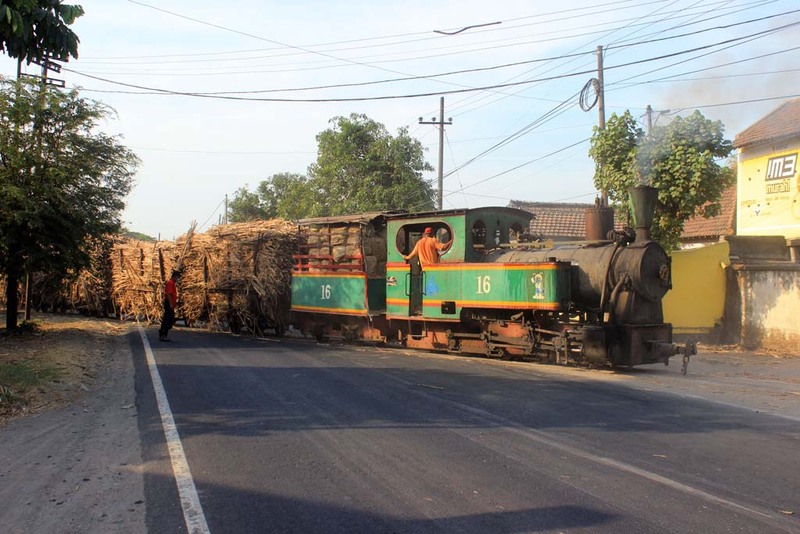 It doesn’t take very long for us to wait until the next train turn up. 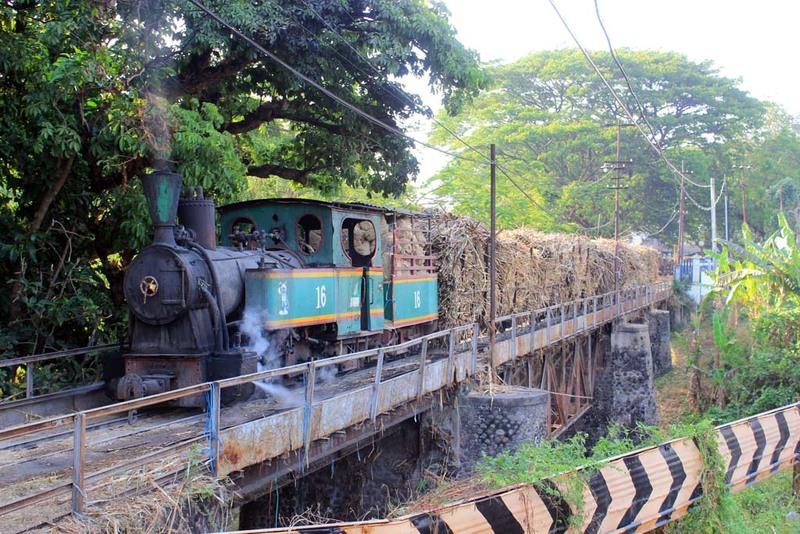 It’s just unbelievable that in a span of less than 15 minutes, we already spotted not one but two trains! 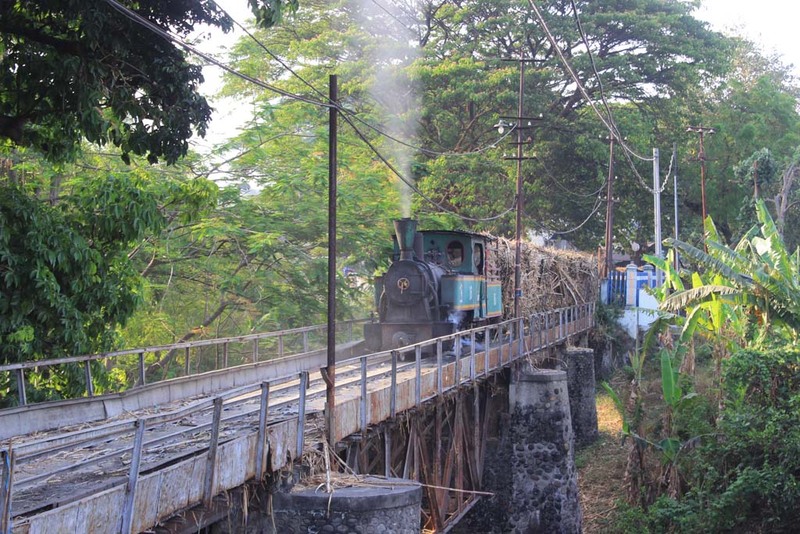 Just like the previous train, this one is also held up on entrance gate. But moments later, it is cleared to go. 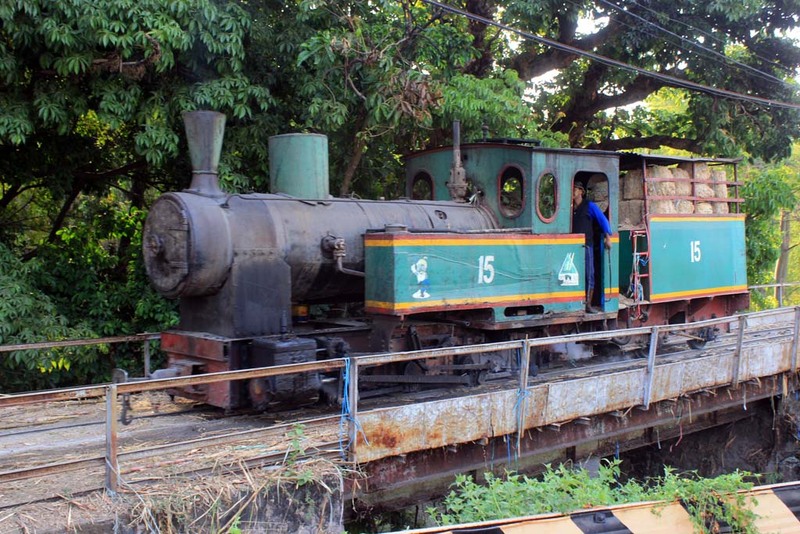 And soon, the locos are back into the road yard again. 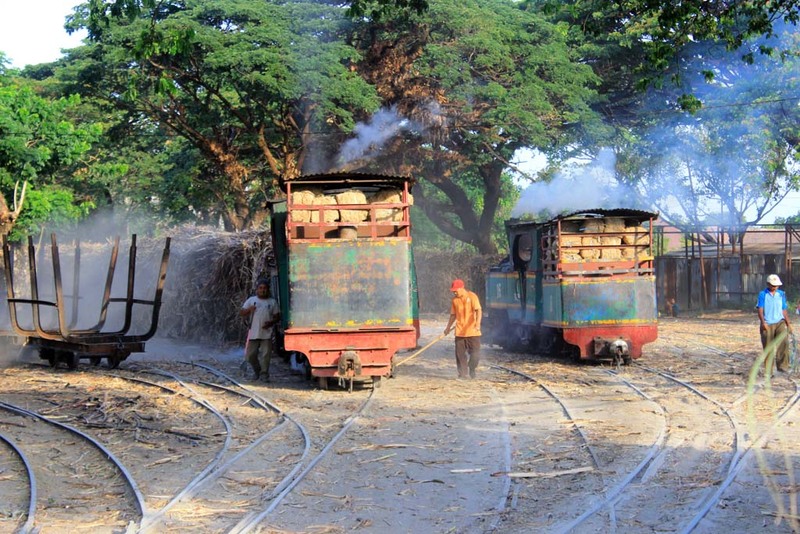 Right inside the yard, both locos are brewing. 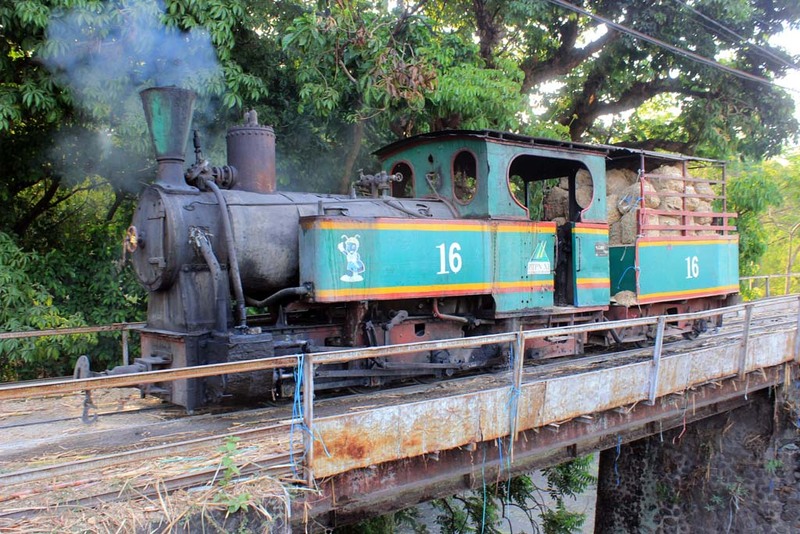 Ready to haul another train. 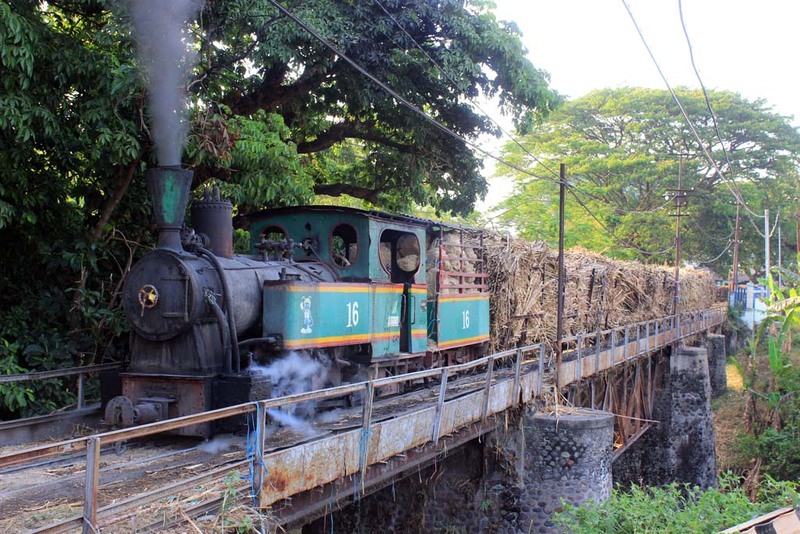 However, as the train is near the gate, it was ordered to stop! Everyone went to the back of the train. 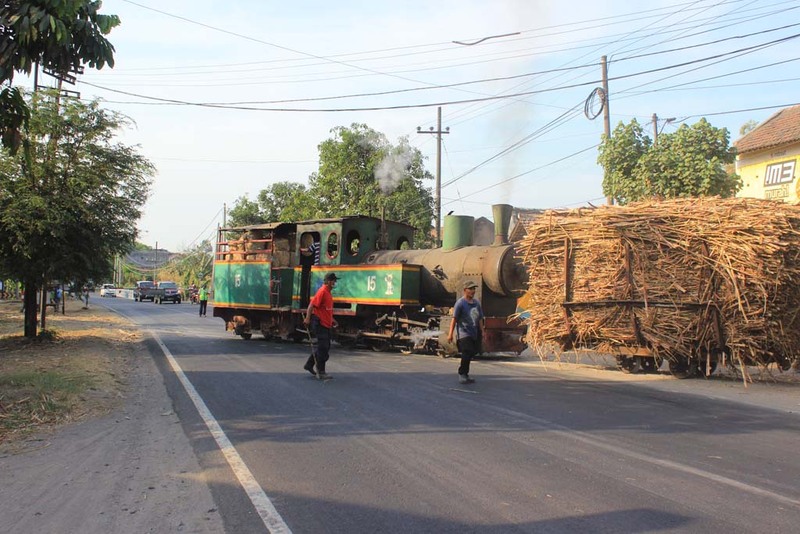 Apparently, one wagon from the adjacent train was carried on as the canes on both wagons are tangled. So, they had to use a tractor to freed the renegading wagon. 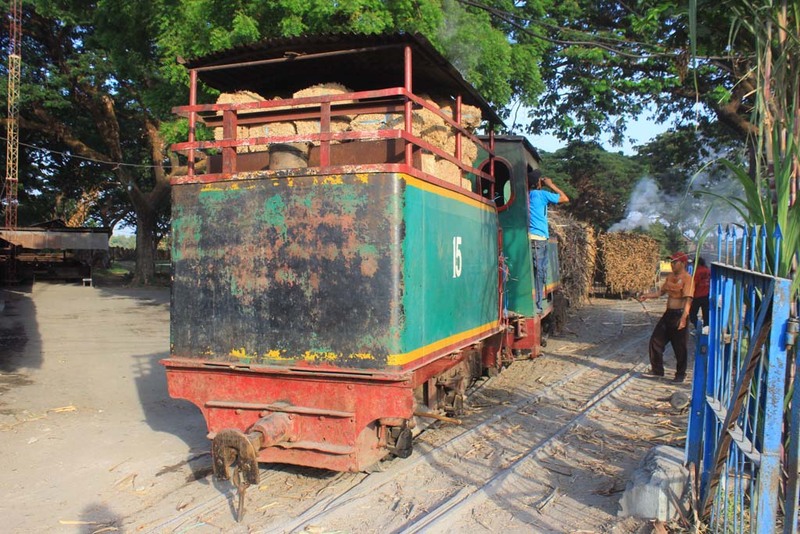 Once the wagon is cleared, the train is ready to resume its short journey. 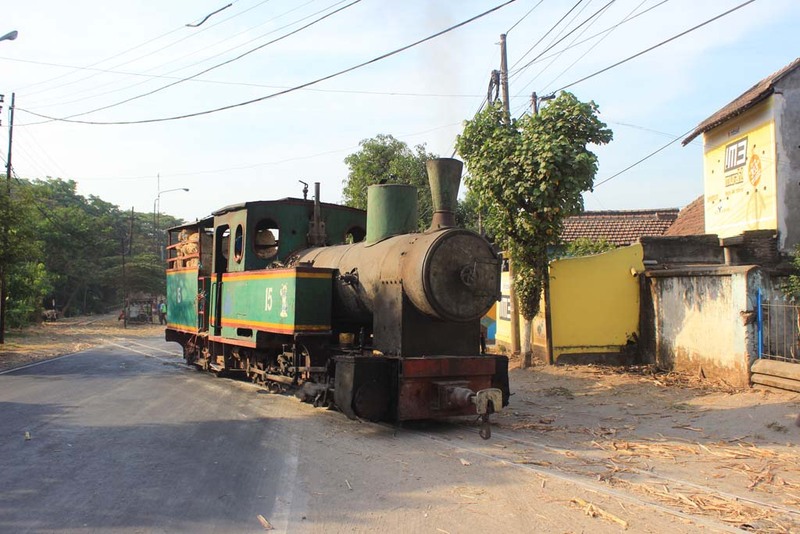 But as soon as the train crossed the street, we caught this hilarious sight: a truck suddenly running into the train’s direction as it was challenging the steam loco! 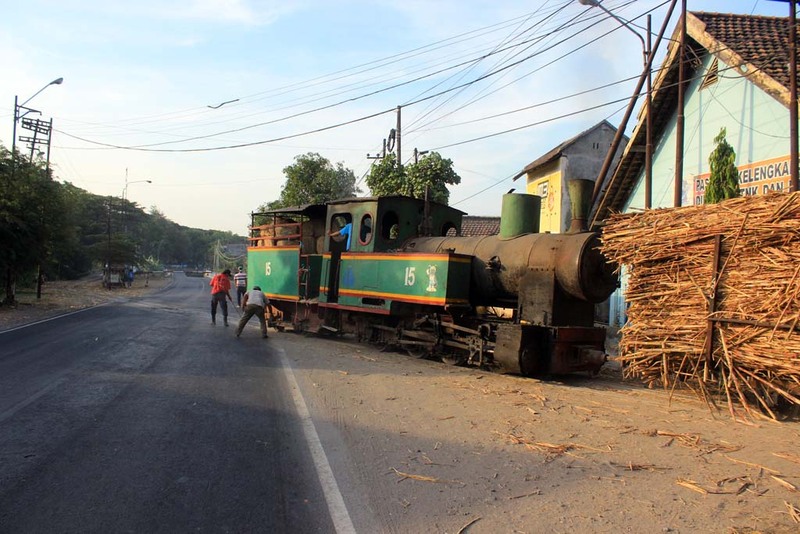 In the event of real head on collision, the train would have surely won, although the safety of the drivers cannot be guaranteed. 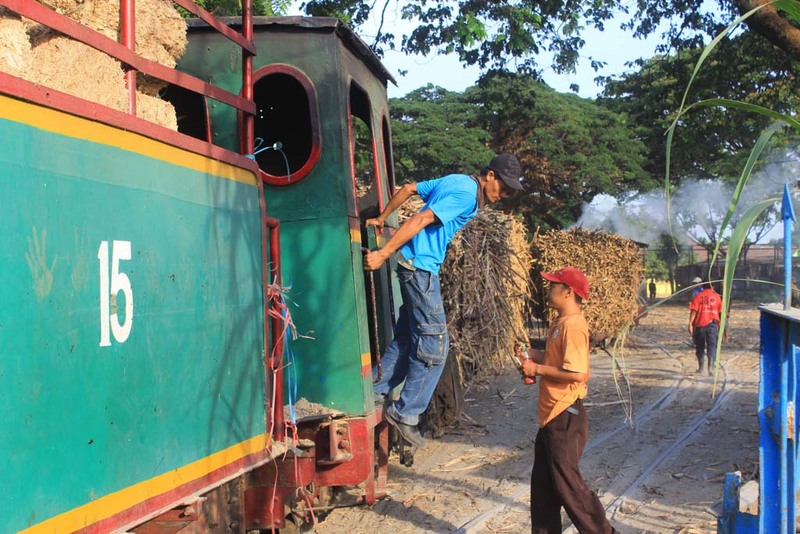 As soon as the train entered the mill, we resumed our journey to Salatiga. Sky becoming darker as soon as we crossed East and Central Java provincial border, and it became completely dark by the time we reached Sragen (the first Central Javanese town we encountered). 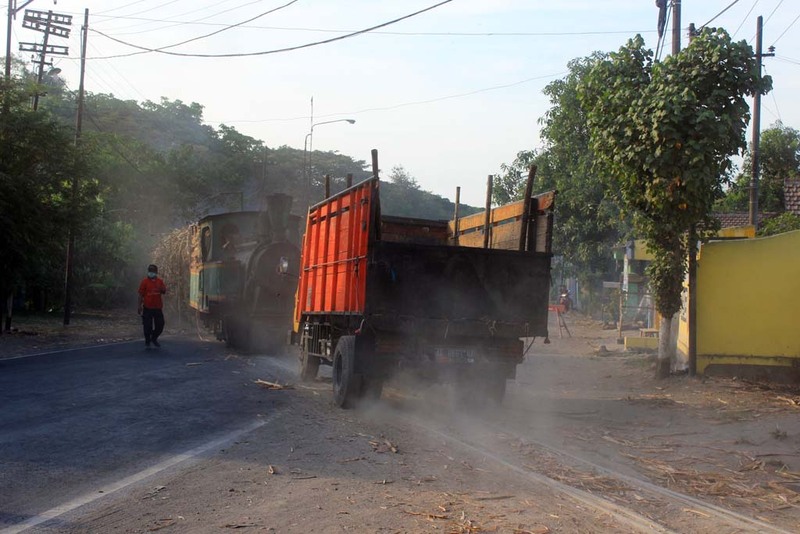 From Sragen, we deviate from the main road to Solo, to take a more straighter route (albeit hilly) route to Salatiga. What was very frustrating was parts of the main road seemed to be repaired, or replaced with concrete, delaying our trip further. 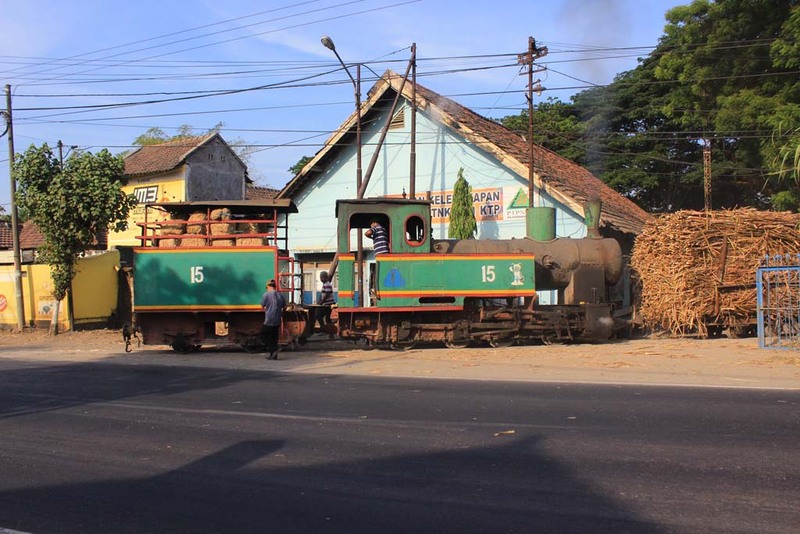 Despite all of the hindrance that we encountered, we eventually arrived at Salatiga at around 8.15pm. We initially wants to have a dinner before checking in into our hotel. But upon arriving at the restaurant (which I visited last year), the parking man told us that the restaurant is closing down for tonight. Feeling rather frustrated, we decided to head straight into our hotel. 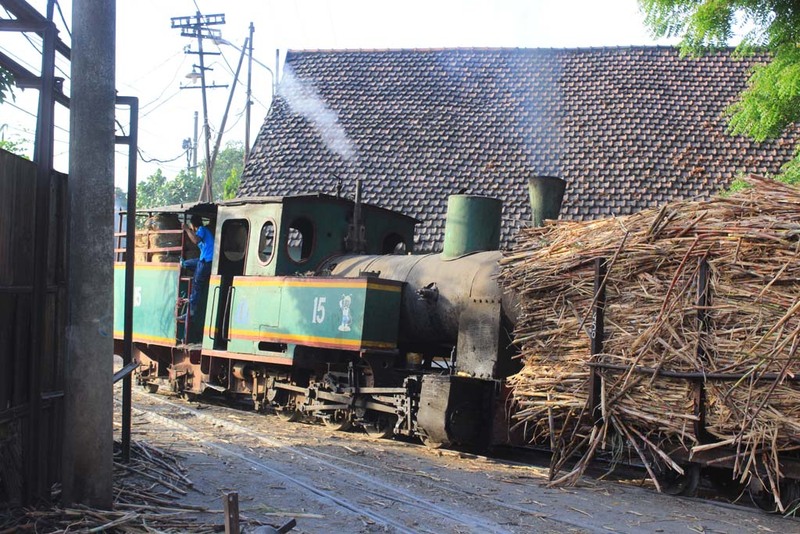 Just like last year, we stayed at Kayu Arum Resort, which is one of the finest establishment in Salatiga. 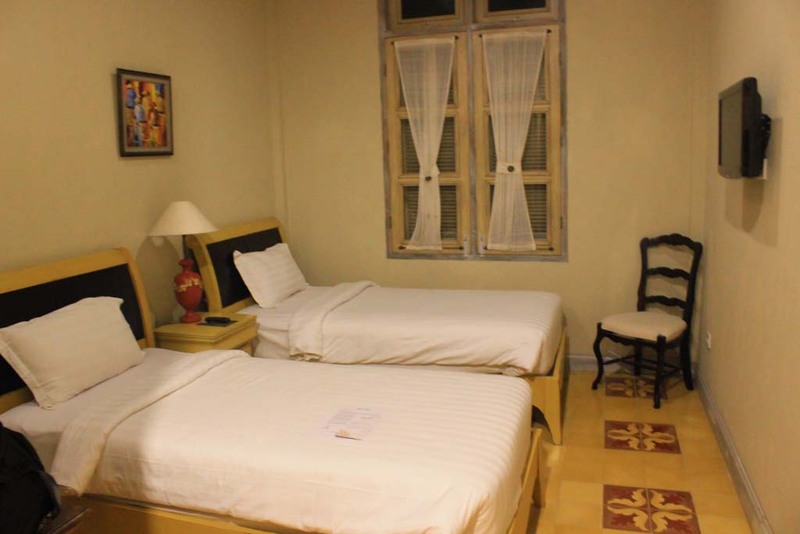 The hotel is a 4-star resort nestled on the hilly suburb of Salatiga. In a reverse of what we had last year, this time we arrive late but we won’t be in a rush on the following morning. And just like last year, we also stayed in the Standard room as the superior room were fully booked. Since we were too tired to go out, we decided to have a meal in the hotel’s coffee shop. I have to say that the meal are served in a fine dining way. 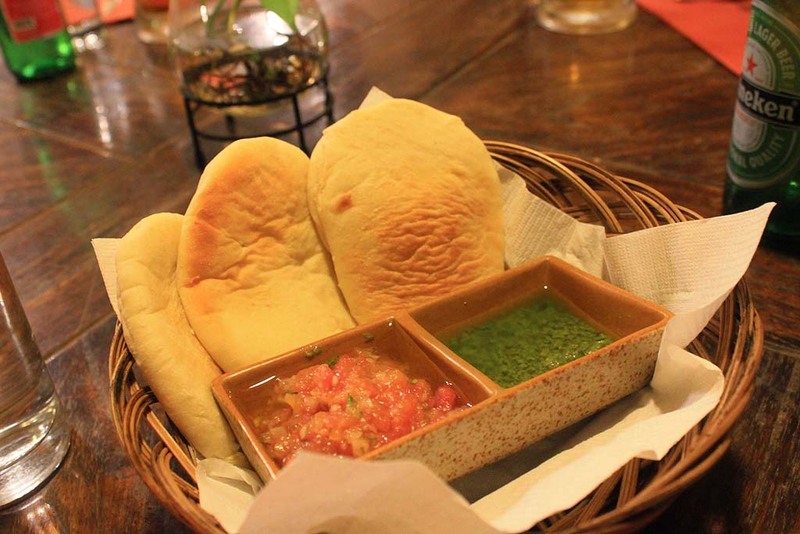 For starter, they give us Italian bread with the choice of pesto or salsa sauce. Stephen meal has one of the most unique presentations. He ordered Tom Yam Goong and Beef Rendang. 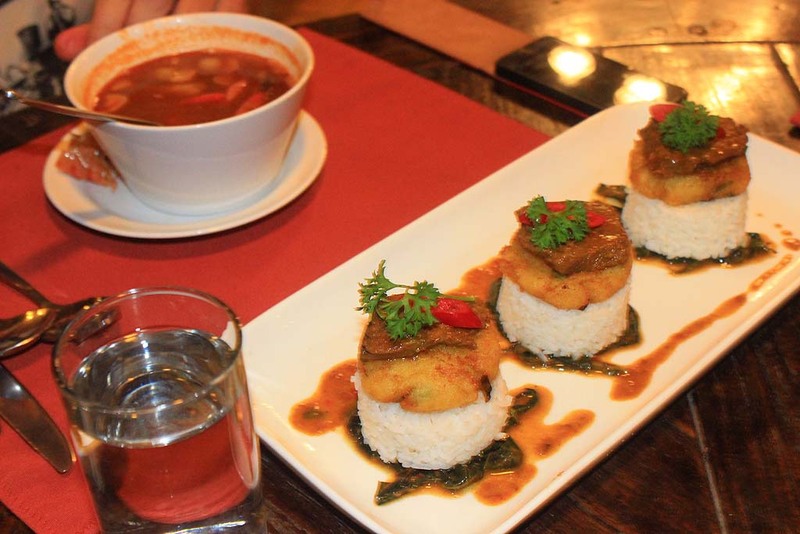 The way they present the Rendang just looks artistic. 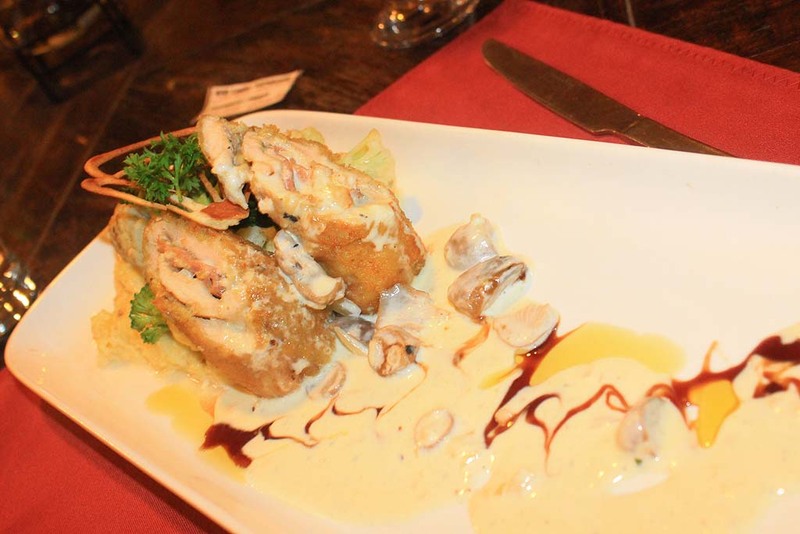 My Chicken Cordon Bleu also looks artistic; in fact they seemed to put emphasis on presentation instead of portion as my meal seemed to occupy only 1/3 of the plate! After we had our dinner, we head to our bedroom to have a rest.